The Curiosity team did it! Curiosity Rover landed safely on Mars and sent back a photo. 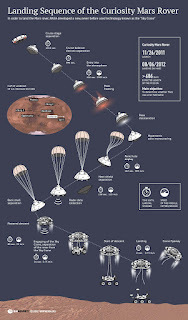 The landing sequence was extremely complex and had to be controlled from the spacecraft because the transit time for signals between Earth and Mars is too long for the ground crew to control it. This success was the product of a NASA team. NASA oversaw the project and contracted parts out to many organizations. But we have continued to privatize government functions, and so there is an insistence on "privatizing" the Space Station. NASA does the preparatory, money-losing work, and then private industry moves in to take the profits, which seem to be primarily from rich people who want yet another thrill. Of course, the "privatization" will be on government money. Space Exploration Technologies (SpaceX) today won a $440 million contract with NASA to develop the successor to the Space Shuttle and transport American astronauts into space. SpaceX has docked a craft with the Space Station. So maybe they can do this. Anyone want to bet that they will find that they need more money to do it? And then there's Kickstarter and SkyCube, a much more modest project. Send in your ten bucks to get a piece of it! 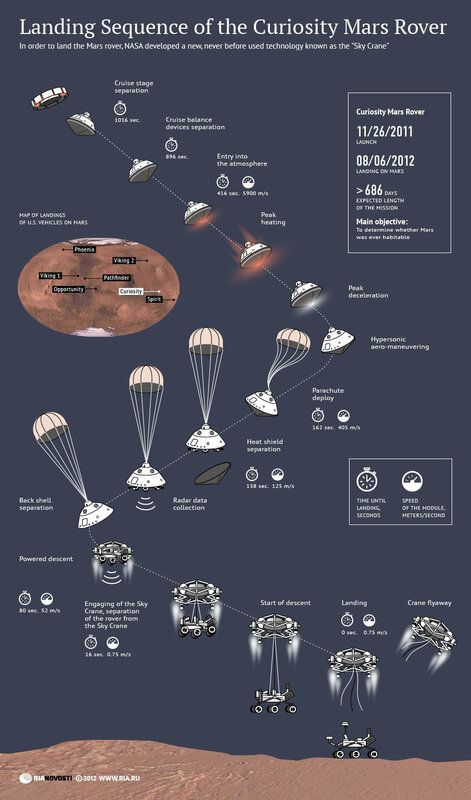 It may be a good thing to have multiple funding models for space projects. But NASA and the government have really succeeded with Curiosity.